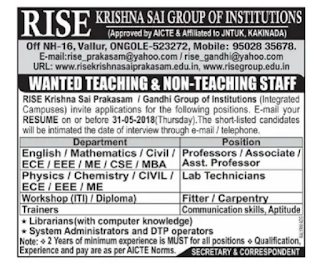 Rise Krishna Sai Group of Institutions, Ongole has advertised in THE EENADU newspaper for recruitment of Teaching, Non Teaching Faculty jobs vacancies. Interested and eligible job aspirants are requested to email your resume on or before 31.05.2018.Check out further more details below. 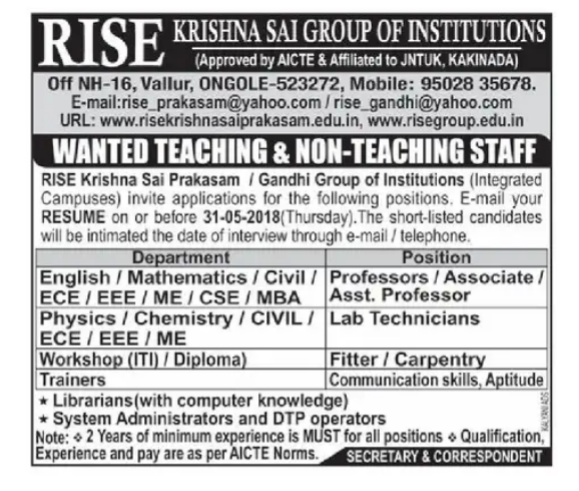 2 years of minimum experience is Must for all positions. Shortlisted candidates will be intimated the date of interview through email/phone.